Fortunes is a seven-day event for new servers which open after Nov.25th. Find another way to gain more valuable resources and boost your Battle Rating! In general, different Fortune bags with be there. 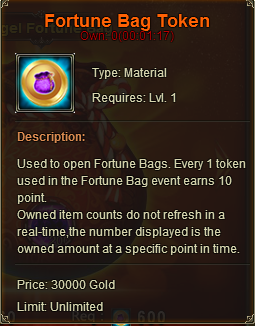 Players can get items randomly by using certain tokens to open them. 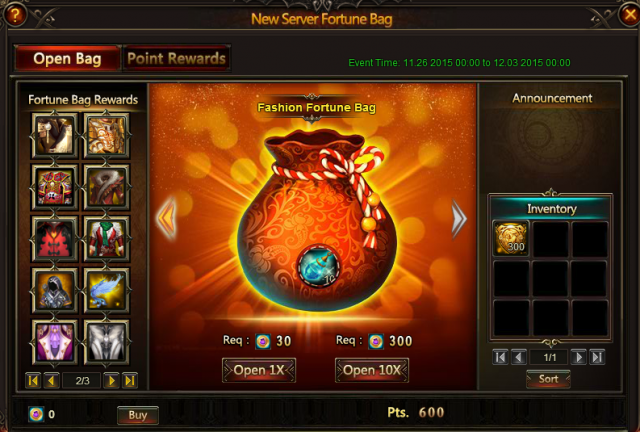 Three kinds of Bags will be available there, namely Mount Fortune Bag, Angel Fortune Bag and Fashion Fortune Bag. Each kind of bag contains various items which are different from those in other bags. It contains many mounts and resources. For example, Azure Dragon, King Alabaster, Pride King, Aegis Shards, Angel Tears and more will be there! Many angels and resources will drop randomly when open; say Angelina, Isolde and Fortuna. 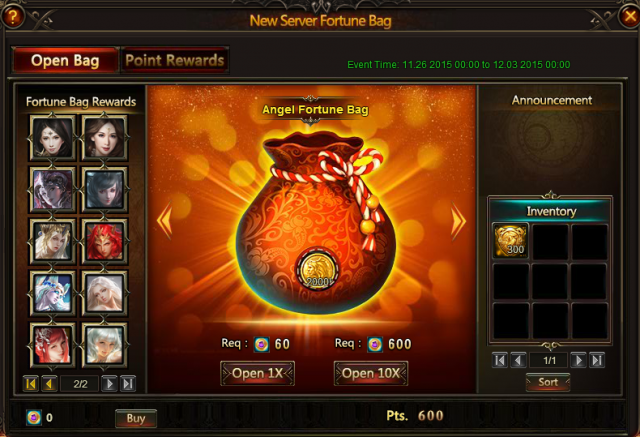 Gold Organza, Rose Essence, Phoenix Wings, Moonbeam Wings and more will drop randomly from this bag.